In recent years Obamacare’s Medicaid expansion has created a financial fault line in American health care. Hospitals in states that enacted the expansion got a wave of newly insured patients, while those in states that rejected it were left with large numbers of uninsured individuals. A new study released Monday reports a crucial consequence of that divide: Nonexpansion states have suffered a significant increase in hospital closures. States that expanded benefits, on the other hand, saw their rate of closures decline. The study, published in Health Affairs, is the first to clearly document the extent of that divergence across the country. Using nearly a decade’s worth of data, researchers found that hospitals in Medicaid expansion states were 84 percent less likely to shutter than facilities in nonexpansion states. Rural hospitals were particularly vulnerable to closure, but kept their doors open in places that extended coverage to more patients, the study found. Various forces are driving hospitals to shut down, including industry consolidation and a long-term shift toward outpatient care. But this data indicates that Medicaid coverage is a ballast against those forces for many facilities, especially those that serve high levels of uninsured patients who cannot pay their bills. “Hospitals in states that did not expand Medicaid continued roughly along a previous trend where it’s increasingly difficult to stay in business,” said the study’s lead author, Richard Lindrooth, a professor in the department of health systems management at the University of Colorado. The study’s findings are particularly relevant amid the current policy debate in Washington. Despite last year’s failures to repeal Obamacare, Republicans are still pressing to undo its Medicaid expansion, which allowed states to extend eligibility to people with incomes up to 138 percent of the federal poverty level. The 32 states that enacted the expansion have added millions of Americans to Medicaid rolls, improving access to health care but increasing costs. The GOP-sponsored Graham-Cassidy bill, which would end Medicaid coverage for childless adults and implement a block grant formula, remains in play this year. While its prospects are unclear, the Trump administration has signaled a willingness to grant state Medicaid waivers that would require beneficiaries to hold jobs and pay premiums, measures likely to pare enrollments. The stakes are particularly high for rural hospitals. The University of Colorado study found that the financial performance of rural facilities improved more than the performance of suburban or urban ones in states that expanded Medicaid. They were much less likely to close and experienced improvements in their operating margins. On a county-by-county basis, the study found that hospitals’ financial improvements were greatest in counties that had the highest numbers of uninsured residents before expansion, suggesting that the better performance resulted from the substitution of Medicaid coverage for patients whose hospital bills would have otherwise gone unpaid. In absolute terms, hospital closures remain a rare event. The study found that the expansion was associated with a reduction of about 11 hospital closures per year nationwide, with about half of them occurring in rural areas. The authors tracked closures using data on hospital operations from the Centers for Medicare and Medicaid Services between 2008 and 2016. In analyzing data, they controlled for differences in median income, unemployment rates, and eligibility criteria that might have impacted underlying financial circumstances and closures. 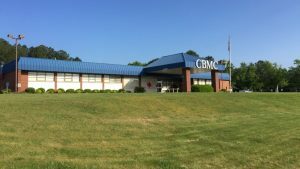 In North Carolina, five rural hospitals have closed since 2010, when the Affordable Care Act was passed, according to the Rural Health Research Program at the University of North Carolina. The program has identified a total of 83 rural closures across the country in that time period, most of which have occurred in non-expansion states. Mark Holmes, director of the program, said each closure has its own health care ripple effect, often resulting in impaired access to lifesaving services, care for chronic conditions, and fundamental health procedures such as labor and delivery care. Patients generally have to travel farther, sometimes across difficult terrain, making it harder and less convenient to get the services they need. Beyond that, Holmes said, there are also economic consequences, as hospital closures often result in the loss of scores of high-paying jobs. In many cases, hospitals are one of the few sources of such jobs in outlying communities. This article is reproduced with permission from STAT. It was first published on Jan. 8, 2018. Find the original story here. Casey Ross is STAT's national hospital correspondent.